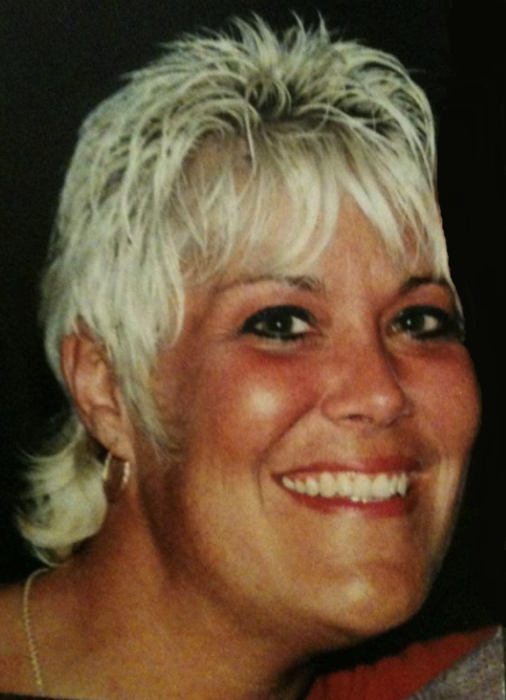 Phyllis Susan Bove, 55, of Fairfield, PA died peacefully on Friday, April 5, 2019 at Gettysburg Hospital in Gettysburg, PA. Born July 29, 1963 in Washington, D.C., she was the daughter of Ronald and Vernelia (Vinson) Bennett of Emmitsburg, MD. She was the devoted wife of Richard “Rich” Bove. Phyllis was a Claims Adjuster for United Health Care Insurance Company, where she was employed for 25 years. She loved dancing, cooking for family gatherings, (especially at the holidays), going to the beach at Ocean City, and painting her house. She was an avid Washington Redskins fan, and loved her backyard Tiki Bar. Phyllis loved her cats, her dog, and more than anything, attending her granddaughters’ dance recitals and competitions. Surviving, in addition to her husband Rich and her parents, are daughter, Kathleen “Kayti” (O’Toole) Gamer and husband Michael of Fairfield, PA; step-children, Richard Bove of Gettysburg, PA, Vincent Bove of Biglerville, PA, and twins, Sydney and Shelby Thompson of Batavia, OH; sisters, Tammy Denning and husband William of Woodsboro, and Theresa “Mickie” Bennett of Emmitsburg; brother, Todd Bennett and wife Alexandra of Thurmont; grandchildren, Olivia, Adelayde and Noah; and several nieces and nephews. She is also remembered by special friend, Terri Boggs of Thurmont. She was predeceased by infant brother, Ronnie Bennett. A celebration of Phyllis’s life will be held at 11 a.m. on Thursday, April 11, 2019 at MYERS-DURBORAW FUNERAL HOME, 210 W. Main St., Emmitsburg, MD with Funeral Celebrant John Morrill officiating. There will be no burial. The family will receive friends at the funeral home from 9 a.m. until the time of the service on Thursday. In lieu of flowers, memorial contributions in Phyllis’s name may be made to the ESP Performing Company, 15 Water St., Thurmont, MD 21788.